nerds of a feather, flock together: Another Batman Game?! I know, I know. I'm reviewing two Batman games back-to-back. Trust me, this is nothing like Arkham City. This is a 12-man first person shooter in the Modern Warfare multiplayer vein, but it takes itself much less seriously. The background story to this game is that the Dark Knight and the Joker aren't in Gotham at the moment, leaving their surrogates to wreak havoc. Remember poor Brian Douglas from The Dark Knight? He's a perfect example of what I'm talking about. In this game, their appearance is usually more comical than the ones in the movie (My tank wears blue briefs with a singing pink bird on the front). However, there are some pretty tough looking options for dressing out your character, too. They have five sizes of character that range from small, fast, and easily killed to gargantuan tanks that require five headshots to take down. When killed by one of these "heroes," they always spout a catch phrase. My particular favorite from one of the Batmen is, "Justice has undone you!" The Joker has his surrogates, too. They've taken on a much more Joker-like appearance than the psychos he used in the movies (Remember the poor mental patient Harvey Dent was threatening to kill with a game of Russian Roulette?) These are some more real designs from the game. There is a wide array of optimization with character design. They can even speak German, French, or Japanese if you choose. The Jokers seem to have the market cornered on the catchy kill phrases. One of the best is, "You die like a sack of puppies, cute!" But what about the guns and gadgets?!! The game offers a wide array of weapons. It's no Borderlands, but there are plenty of options to keep the replay value up. There are 17 total weapons of six types including Rifles, Submachine Guns, Heavy Weapons, Sniper Weapons, Shotguns, Launchers, and Miscelaneous. It's this last group with which I take issue. There is an overpowered gun in the game called the "Witch Doctor" (Seen below). It required a $5 DLC purchase to unlock and it's much stronger than any other weapon in the game. Some weapons freeze or lock you in place. Others damage your life. This is the only weapon that does both by itself. It made the game unbalanced when first released, but now that nearly everyone has at least one on their team the playing field has been leveled somewhat. Each gun (you get two per character) comes with a Mod. Some of the most useful are the Silencer, Extended Magazine, and Body Odor Sniffer that notifies you of enemy locations via yellow stinklines. There are also a plethora of fun gadgets that take this game beyond the average shooter. Each character is allowed one support item and one gadget. The support items include basics like Body Armor made out of a hubcap, but also have unique options like the Bear Trap or the Trap-in-a-Box, which is a mine in a jack-in-the-box, as if you couldn't guess from the name. Players can use gadgets like a grappling hook, glider wings, spring shoes, or my personal favorite, marking goggles. If you put on your goggles and focus on an opposing team's player for two seconds, they are marked and turn a bright orange for a short period of time. If you're able to get your entire team into a defensible position with one marker and one motivator (which heals nearby teammates and gives a defense bonus using a megaphone) it's nearly impossible for the other team to take you down. This game, as with most shooters, pays dividends to those who work as a team and perform their individual role. It also helps to know the maps well so you can all head to the same place quickly. Even when I know where I'm headed it often takes 3-5 tries to cross the map without being slaughtered. Gotham City Imposters came with three game modes. It now has four. One thing I'll say for this game is that the developers have continued to add to the content without cost, aside from the overpowered Witch Doctor. Several free maps have been added since the debut along with the new game mode. Unlike Modern Warfare there is no "every man for himself" mode, although Bounty Hunter comes close. There is Team Deathmatch which we'll all recognize from Halo and other multiplayer shooters. There is also Psych Warfare where you must capture propaganda points to drive the other team mad. It's essentially capture the flag. Same goes for Fumigation in which your team must control two of three poison aerosol releasing machines. If you do so for long enough, the other team will be killed by the poison gas. I've been playing this game with my regular Friday night crew for some months now (Shouting out to Therman, Ben, James, Perry, and Mike!). It's beaten out Left 4 Dead 2 and several other games for our time. We all got the new L4D2 DLC (Cold Stream), but we were back to Gotham City Imposters a week later because it's just more fun. If you enjoy shooters but are tired of being cursed at and murdered over and over again by 8-year-olds, this maybe the game for you. Even when I play alone there's a minimum of smack talk going on, something that can't be said for Modern Warfare 3 or its predecessors, a fact that drove me away from the game eventually. 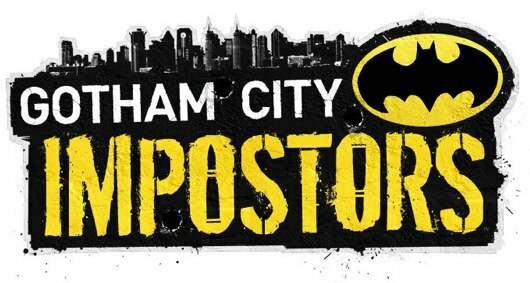 Gotham City Imposters isn't the greatest game of all time. It's not even the greatest shooter of all time. But for those of us who like to take our online multiplayers a little less seriously, this one's a winner. The sense of humor in the game makes it more fun to play and also helps bring up the replay value, much like Borderlands 2 (see my review two weeks past). If you're looking for some lighthearted fun with your online multiplayer FPS experience instead of deadly seriousness and foul-mouthed fourth graders, then give this one a look. Bonuses: +1 for the sense of humor. I've never had a game make me happier to be shot in the face. Penalties: -2 For the Witch Doctor, a paid-only weapon that is WAAAAY overpowered. The wide adoption of this gun has made the playing field more even, but that doesn't take away from the fact that they made a gun that unbalanced the game for profit. Weak, Monolith. Weak. Nerd coefficient: 7/10. "An enjoyable experience, but not without its flaws."